In the case of a power failure, the Roto-Safe has a fail safe relay that will signal the control room or sound an audible alarm indicating that the unit is not working. 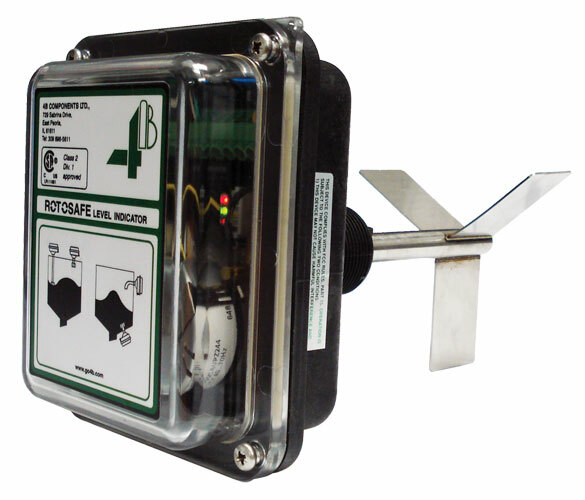 Through the control circuit, this alarm can stop any motor filling or emptying the silo. The Roto-Safe also has a built in rotation detection circuit. The output operates from 0 to 20 seconds after the motor has stalled. This feature can be tested by using the magnetic test feature on the outside of the case.